My talents lie in different directions, however I can easily draw the conclusion that there a fine group of talented artists who live in West Cork, or get drawn to the southwest to find inspiration. Some are frequent visitors who provide courses, demonstrations and masterclasses. 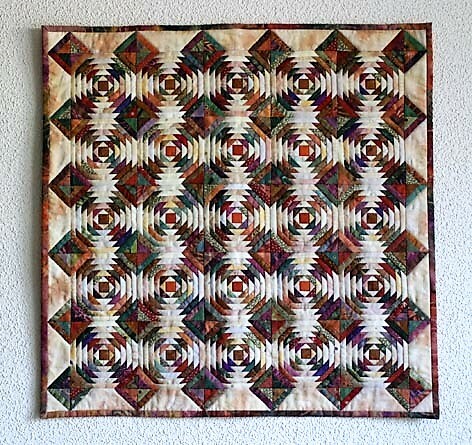 This can be in the fine arts, textiles or ceramics. Being married to the talented “Mrs G” I can simply admire her accomplishments, and those of her friends and an expanding West Cork art network. However, I am unable to appreciate the delights of cutting up fabric into tiny pieces and sewing them all back together again (although the results are lovely), or spending days pencilling in every hair on someone’s head. Ballynoe House is pleased to be able to showcase some of what West Cork offers in terms of Arts & Crafts. 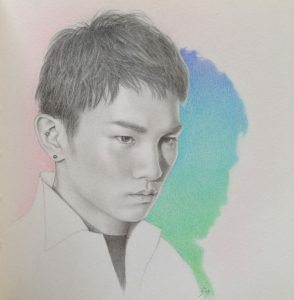 Felicity usually showcases her work through her “Sketches by Fiz” blog. 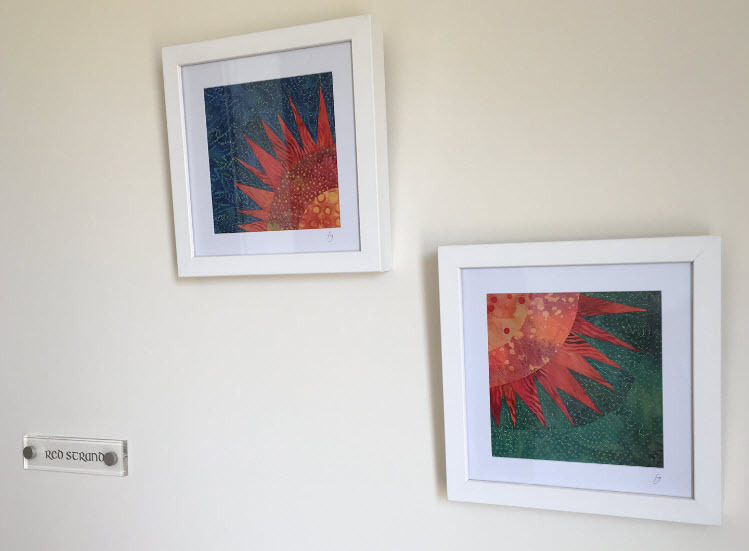 Some of Felicity’s art can be seen in the holiday lets (fabric art / mini/quits, pencil sketches and watercolours). 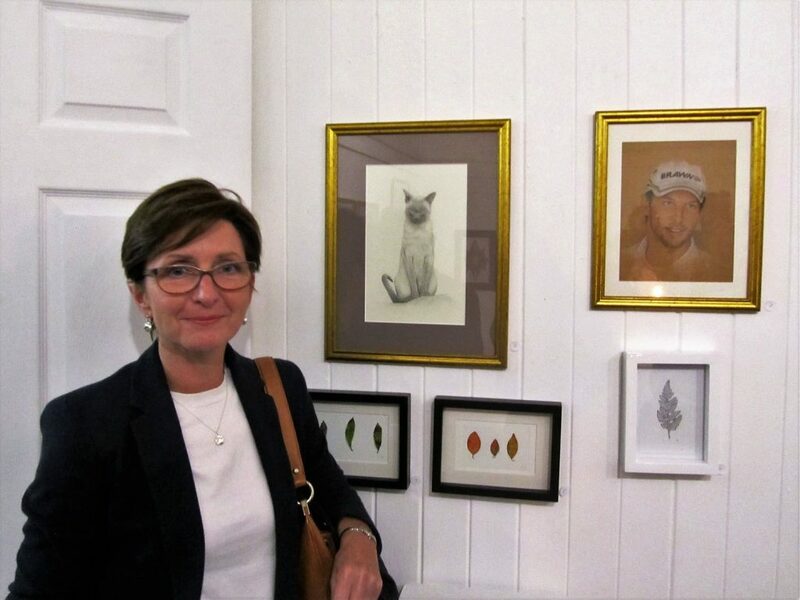 A friend of Felicity, Dublin-based artist Shevaun Doherty, a member of the Society of Botanical Artists, is a sought-after botanical artist and often run courses in West Cork. 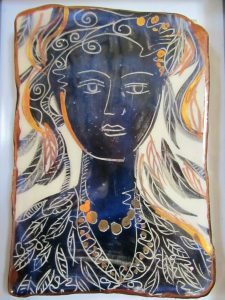 Etain’s shop is in Ashe Street, Clonakilty, where she showcases many local arts & crafts in addition to her own work. The gallery in Western Road, Clonakilty, showcases many local artists. 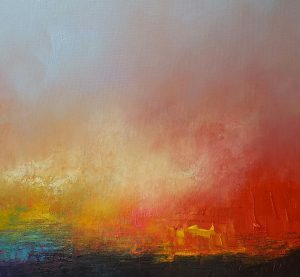 Jane creates beautiful individual land and seascapes influenced by the vibrant light and colours of West Cork. 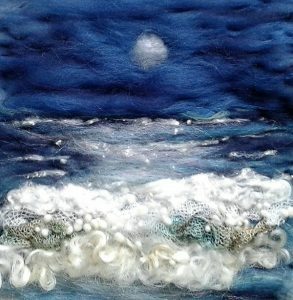 After layering the wool tops to create depth and tone, each piece is needle felted and then embellished with silk and other fibres and exotic yarns. 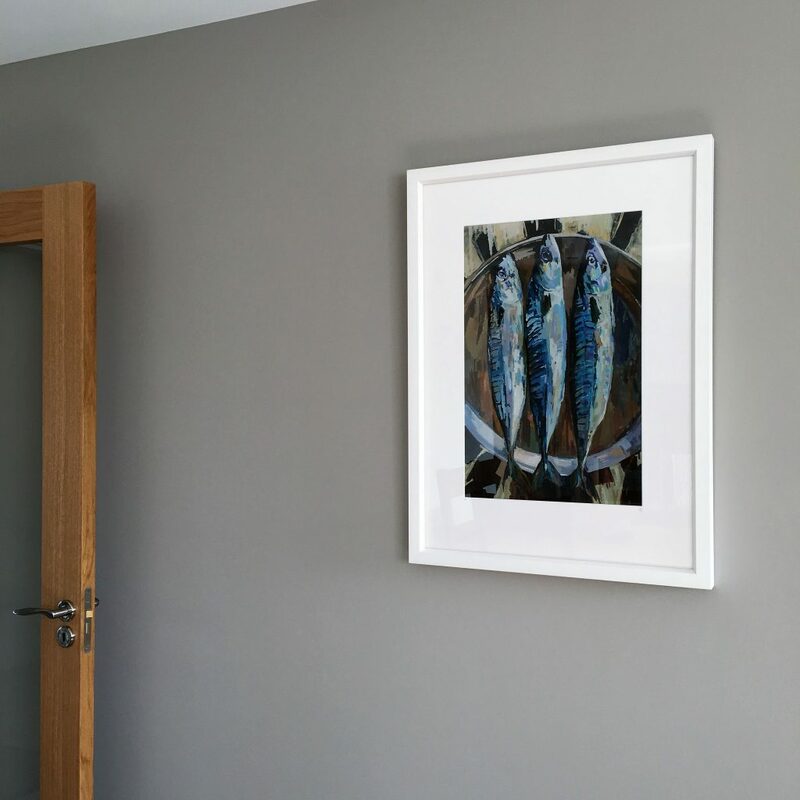 We have a couple of Jane’s pieces at Ballynoe House. Based on Heir Island, outside of Baltimore, Jane’s works can also be obtained through Etain Hickey’s shop in Clonakilty. In 2013, Geraldine started painting gardens, attracted by the intimate spaces people create that offer, in their making, contentment and joy. She documents places that offer sanctuary from the stresses of modern life. She is well- known for her seascapes, which involve a detailed exploration of the natural world. Living and painting within walking distance of the shoreline, she is intimately familiar with the organic partnership between sea and shore. 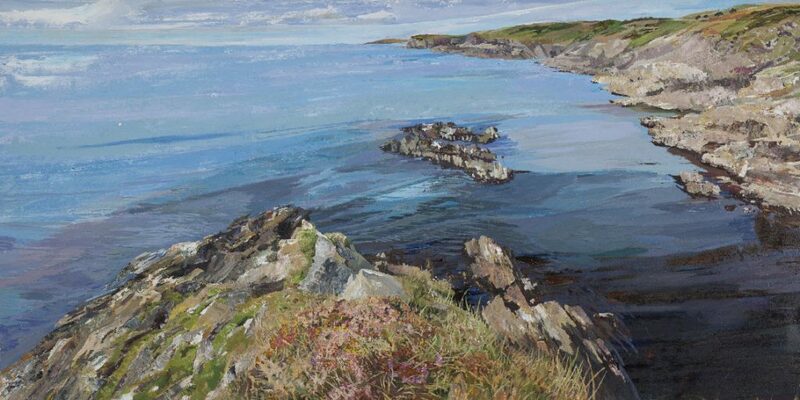 We are delighted to own Geraldine’s seascape “The Picnic Place Beyond Toe Head, Skibbereen”. Her annual home exhibition and art sale, held every August not too far from Ballynoe House, is a popular event. It is also a fine opportunity to see where she gets her botanical inspiration from (i.e. their beautiful garden maintained by husband Alex). More the twenty prints of various painting by Geraldine were selected for the walls of the holiday lets. 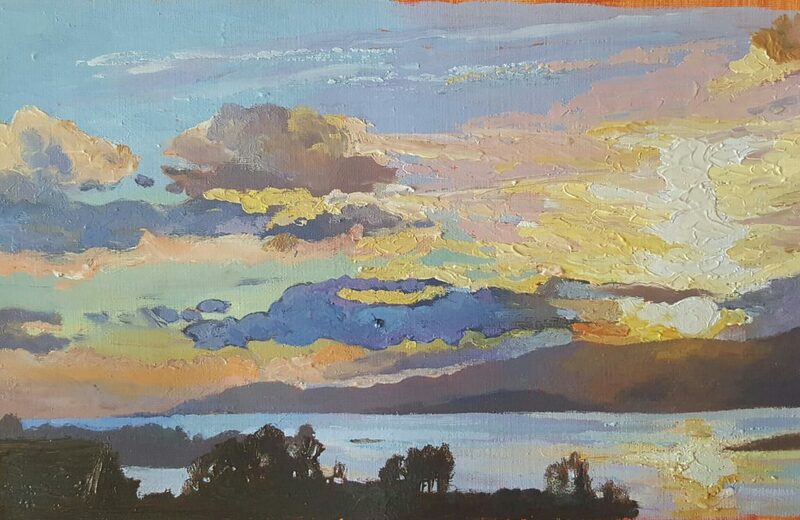 With her studio overlooking Dunmanus Bay, Fiona is inspired by the beauty of colour and the emotion of the ethereal moments of change in the atmosphere of a particular place and time. She is interested in the land, sea and sky that present themselves in ever evolving moments of drama and beauty. 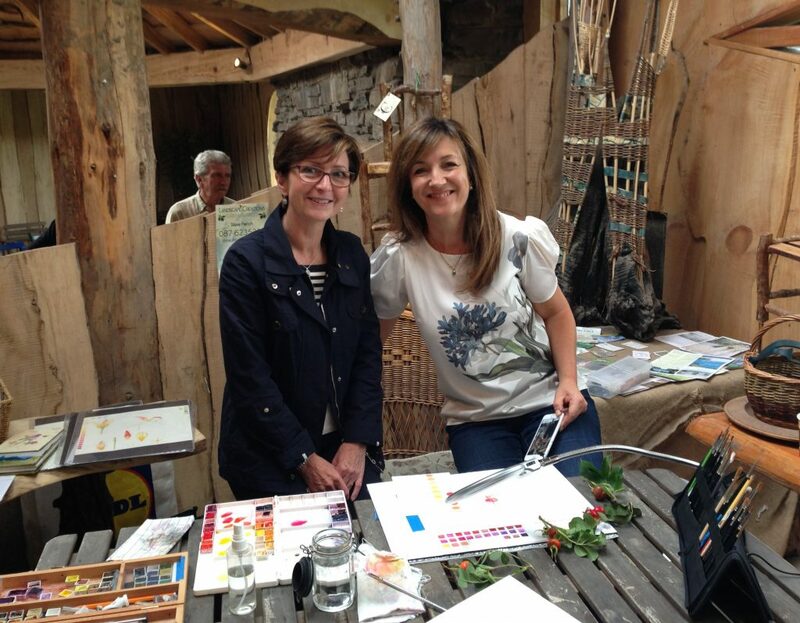 Based in her new workshop at Donovan’s Cross near Galley Head, Red Strand, Caroline McNamara arranges periodic and popular courses in textile art and Zentangle. 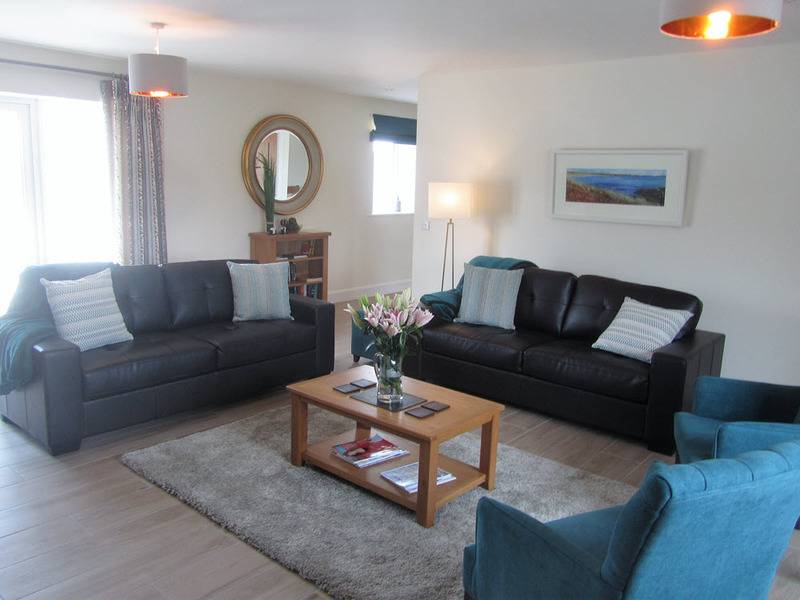 Part of the idea behind the Ballynoe House Holiday Lets set-up is to have flexible accommodation, with the option to host business away periods as well as residential courses and masterclasses. The location, just a few minutes from the coast and with 5 acres of garden, provides plenty of subject matter, whether botanical or landscapes. This is an option we will be exploring in more detail in 2018. Contact us if this type of event could be of interest to you. Ballynoe House will be promoting West Cork long-term as a destination for artists, by offering bona fide artists (professional or amateur) a 10% discount on all advertised pricing for stays at Ballynoe House, subject to let availability. To qualify for the discount, guests will be known to or recognised by Felicity as artists (for example, an online portfolio), or will be part of her international artist network via her blog or Facebook page. In addition to the residential artist, guest artists will also have access to the private parts of the Ballynoe House grounds should artistic inspiration take them there. Enquiries and bookings will be made by email only directly with the owners and not through the online booking engine.